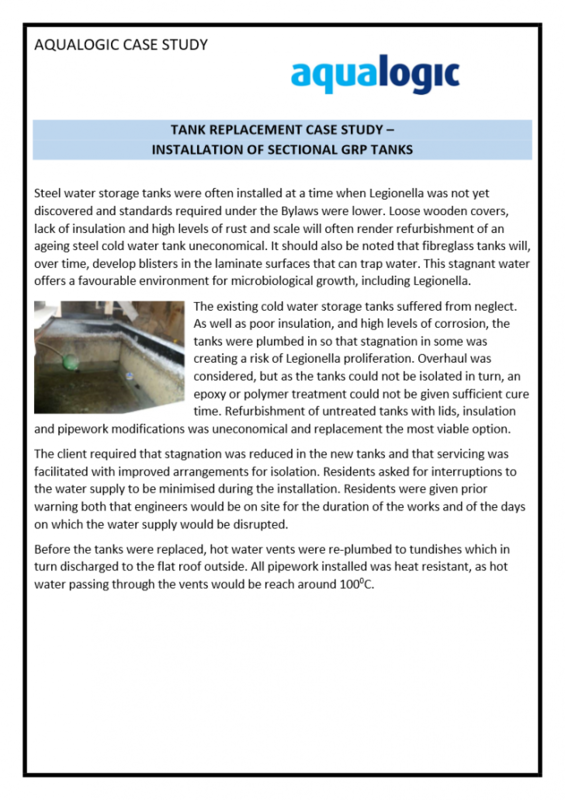 Ageing water tanks can be a breeding ground for Legionella. Mild steel water tanks are often coated with a combination of rust, scale, biofilm and sometimes now banned bituminous coatings. The good news is that your water tank can often be refurbished to ensure that the water it distributes remains safe. In its simplest terms, refurbishment of your tank involves coating it with a polymer or epoxy lining, insulating it, fitting a new lid and installing insect screens to the overflow and warning pipe. There are usually other plumbing works involved, such as new valves and pipework insulation which can be included in the works. Water tanks are often located in difficult-to-access spaces and many were installed before today’s standards and current legislation came into place. We did not always know as much as we now do about the importance of water quality and there are a large number of existing water tanks that do not meet the required safety standards. Water tanks are subject to corrosion and scaling, and while this can be treated if caught early, sometimes replacement is the only sensible option. Sometimes it is necessary where the tank is used to supply drinking water. All tanks that we replace meet the safety features required under WRAS and HSE guidelines. We provide a full installation service and will size your new water tank to meet the needs of the building population; balancing water demand with the necessity of reducing stagnation. 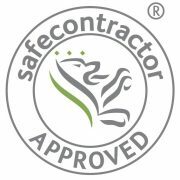 On completion, Aqualogic will carry out a tank chlorination, followed by tank tests, as required. A monitoring and maintenance programme will extend your guarantee and protect water users. Once your water tank has been replaced, or refurbished, to bring it up to the current levels of safety and to meet required regulations, it is advisable to follow a maintenance programme. Please click the varying types of water tank maintenance for further details. Aqualogic always seek to minimise disruption and we can usually guarantee that your building population will not be without water outside of working hours. Where any disruption is problematic, we can install temporary tanks to minimise interruption to supply. Contact us if you have concerns about the safety of your current water tank, or to arrange a water tank replacement or refurbishment.